Capitals fans are known for their penchant for "helping" those who sing the National Anthem at the Verizon Center by chiming in with an enthusiastic "O' and "Red" at the appropriate (or inappropriate) times. Some get a kick out of it. Others find it to be somewhat disrespectful, including Caps' owner Ted Leonsis. "We should be more respectful when the National Anthem is sung," Leonsis said on his blog in 2009. "Taking off your hat is the right gesture. NOT screaming 'RED' or 'O' is also the right thing to do. Placing your hand on your heart or giving a military salute is also appropriate." If Caps fans want to learn how to properly contribute during the National Anthem, look no further than Norfolk. 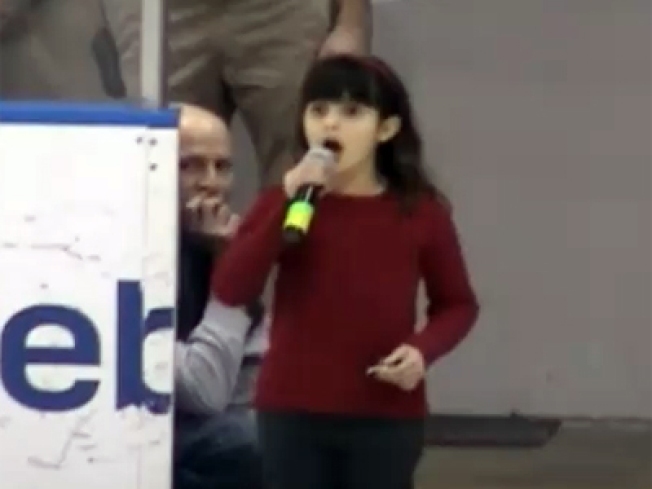 When 8-year-old Elizabeth Hughes's mic went out while she was signing before an Admirals AHL game last week, fans did an admirable job by helping the young lady finish the song. Well, all except for one woman who could be heard cackling, but she was quickly drowned out by the rest of the crowd.